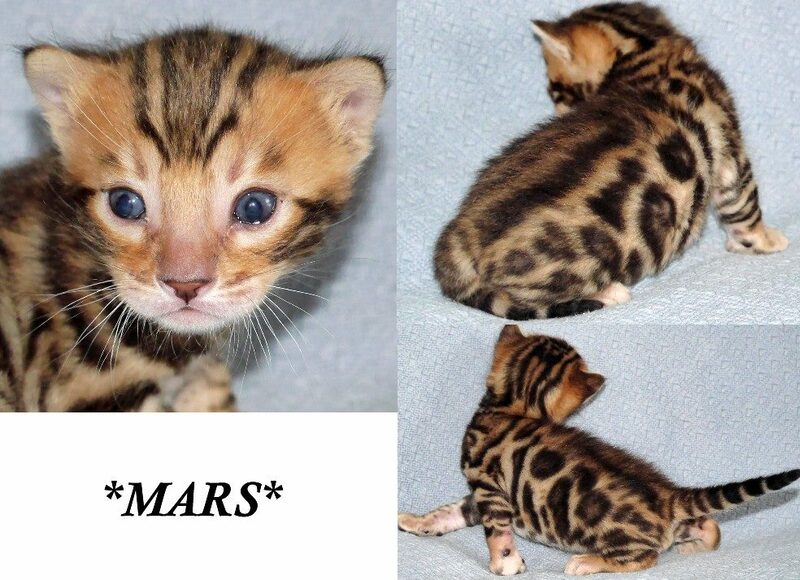 From our very first, introductory litter between Simply Bengals Sealed With A Kiss & KotyKatz Amari, Life on Mars is from our David Bowie tribute litter, born on New Years day. 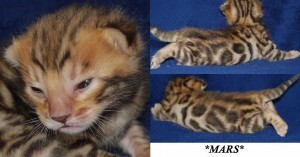 Both parents have huge rosettes and gorgeous color. As you can see, this kitten is just as gorgeous as his parents. 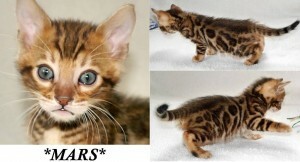 He is a brown rosetted kitten with large beautiful rosettes. Mars has a stunningly cute face! Pictured here during playtime, you can see that his curiosity knows no bounds! This is another one of our favorite Bowie songs. It’s instrumental drama is one of the reasons we love it so much. The song was first released in 1971 and was recently ranked as number one in The Daily Telegraph’s list of the 100 Greatest Songs of all time. Did you know this song has a connection to Frank Sinatra? This song is said to be a parody of Frankie’s “My Way.” Recently this song was featured and sung by Jessica Lange on the popular TV Show American Horror Story. 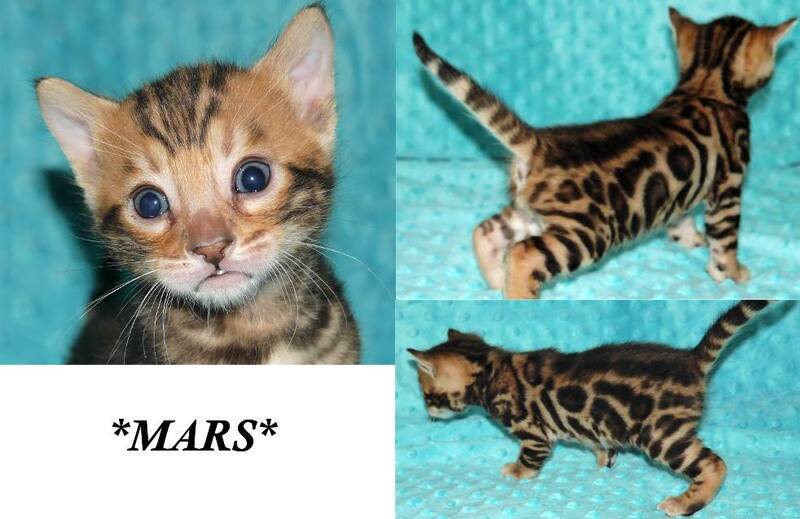 This entry was posted in Bengal Kitten Gallery, Gallery and tagged bengal kittens, brown rosetted, David Bowie, Life on Mars. Bookmark the permalink.